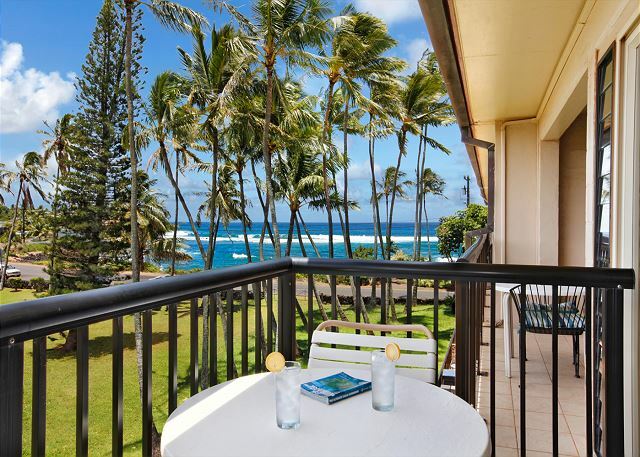 The Best Poipu Oceanview Value! Under $199 Night TOTAL (no additional hidden fees)!! Under $1399 for one week TOTAL (no additional hidden fees!!!! Very clean with many upgrades! Custom finishes from hardwoods grown on Kauai! Prime Location! Sunset bliss – WOW! 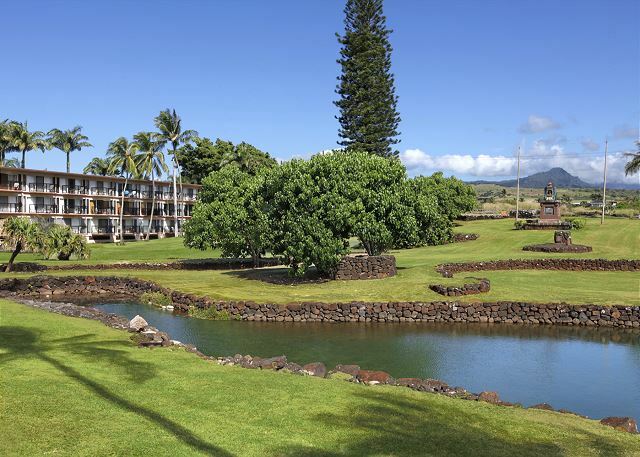 Prince Kuhio Condos are adjacent to Prince Kuhio Park and the ocean located on the sunny South Shore at Poipu Beach in Kauai. 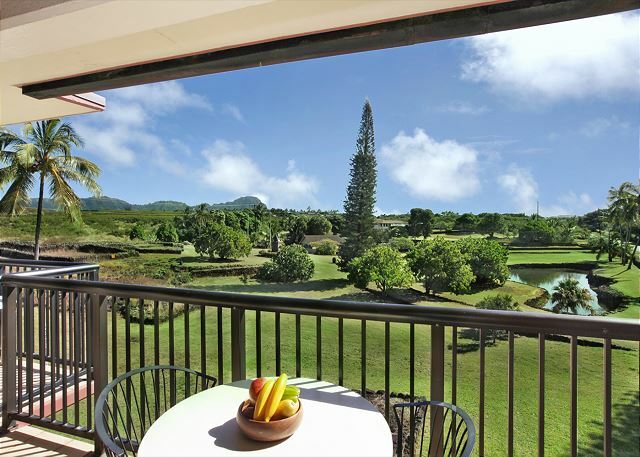 Some of the best snorkeling and surfing on Kauai are right out front at Prince Kuhio Beach. 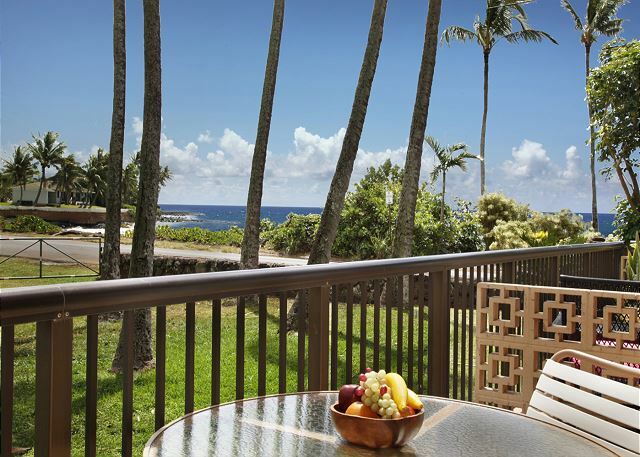 You will enjoy the sound of the ocean, the birds singing in the park, the rustle of palm fronds in the tropical breeze and amazing sunrise every day from your condo.